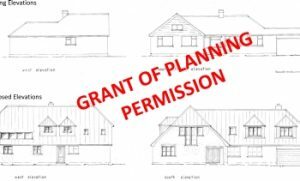 East Dorset District Council: Darryl Howells, assisted by our new planning consultant Jess Glover has secured full planning permission for householder extensions including a new roof to form habitable accommodation at first floor, to an existing bungalow in Ashley Heath, near Ringwood. The client original sought pre-application advice on a different scheme, which was received with negativity from the planning officer due to its alleged harmful design and adverse impact to the character and appearance of the area. 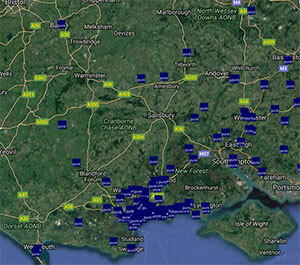 The client then contacted Pure Town Planning to assist to secure planning permission. Darryl and Jess met with the client to discuss the scheme and the pre-application response. Darryl, using his extensive local planning experience of some 16 years, advised the client of changes that would be necessary and offered solutions to resolve the issues raised by the planning officer. The revised plans were drawn up by the client, and submitted to the East Dorset District Council with a supporting statement prepared by Darryl and Jess. The purpose of the statement was to justify the proposed drawings in light of adopted planning policies and in light of the negative pre-application response. The planning application was registered, considered and received planning permission under delegated powers within the 8 week target date. Should you wish to extend your home, or have received a negative pre-application response from a Local Planning Authority about your plans to extend, please contact one of our consultants to give you a fresh, honest and professional opinion to how you could overcome any concerns, and receive planning permission quickly….